We are currently recruiting for production/machine operatives to work for a leading manufacturer of glass fibre based in Hindley Green. 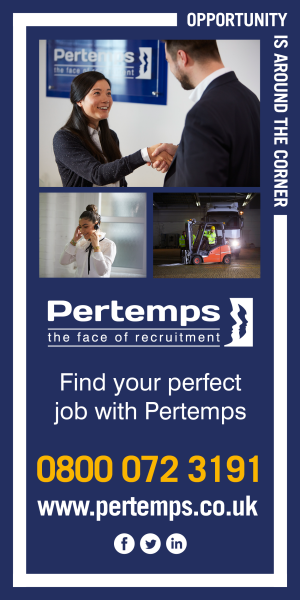 You will be working within a fast-paced production environment, reporting to the Supervisor, your key responsibility will be to work on the busy production lines ensuring that production meets the quality standard. This role is physically demanding and also does include standing on your feet for 12 hours per shift, lifting, twisting, reaching over head and bending. - Be willing to work 12 hour shifts swapping from days to nights every 2 weeks. The shift pattern is a set 4-week rotational shift pattern consisting of days/nights/weekends/bank holidays etc. as the site is a 24-hour operation. By choosing Quick Apply your job application will be processed immediately upon completion of this form. You will receive email confirmation of your registration, enabling you to login and apply for additional jobs, set up a full candidate profile and create jobs alert profiles which will bring jobs directly to you. What is "Age Positive" Range?